yep thats right im shooting to win this contest . so please . PLEASE post . ill do what ever it takes , grovel, beg . All credits will be given from any writings which these come from . I need that graver so bad I can taste it . For those who study firearms history , engraving is very much part of that history . Many of the more documented pieces of the 16,17. 18 centuries are highly relief engraved . They also many times are set with jewels and other precious stones , even tortuous shell , mother of pearl, gold , silver . Today we don’t see this as much but for very few cases . Engravings seem to be more commonly scroll work with relief , inlays are of metals most times just gold . While many of the historic pieces seem to have been done by masters that were highly skilled in all areas from inlay work to stone setting , to line graving and heavy relief work . What was lost ? How did these masters create such works without Pneumatics , be they gravers or rotary tools . Why do we not longer see this type of engraving ? Hey how about some Vector ( adobe format) scroll work of a gun barrel I need to do a paint ball gun and need some scroll work done for it . got any thing ? it would be nice if your pic where More close up. would be nice to see them with more with shading lines . I've just ordered mine because I don't think I can post an interesting enough thread to win a Lindsay. Here Is my post to you, hope you get it! ok how is this . Charles, I have wondered that also! Now that we have advanced tools, it would seem like that type of engraving would not take quite as long to perform. Maybe it is just "the human taste" for art has changed or evolved to look more modern....I really don't know. I like those "classic" designs though. Good luck on your post. I tried to win the artisian that Steve was giving away last fall but no luck.....so I just bought a Classic this past November. It is an awesome peice of equipment. I love mine! ok here is some scrolls but again not like we often see today . well i may not win but im going to give it a shot . What really amazes me about these works , and I have actually handled a couple just not these particular works , is the amount of relief. The transitions and back ground are as smooth as a babies behind . It cant but help to wonder just how they did this with nothing more then push and chase . Some of the wire work is so fine its almost hair size . One SXS that I actually have a schematic of , has a stock that is completely covered in tortuous shell which is then inlet with silver wire and silver engraved plates . While I would agree that tastes have change , I cant help but wonder if at the same time , we lost or forgot the knowledge needed to do this work with very simple tools OR maybe we have just lost the patience for such work when you consider the time involved to complete even a small section of one of the barrels above . For me at least this is the type of work that fascinates me . While modern scrolls and such are also truly wonderful with the old work its really compounded with the thought of thousands of hours just for one rifle and the overall very large scale knowledge and prospective needed to complete such an item . Hello Charles, I think that you are on the right track on the time thing. Back when a lot of those engravings were done, we must remember that people were a lot more limited as far as entertainment......TV, cars, computers, internet and such were not around, life was a lot different....alot slower paced I guess you could say. I know a lot of those engravings must have taken considerable amounts of time! I know I am always in awe of a lot of the deep relief engravings.....to think that they were done with H&C or pushed is really something. Very talented engravers. this being said in general across the board (not everyone) good luck with the contest. Also what due you feel the difference in time of carving would be in the first picture you posted of Hand Carving vs. Pneumatic ???? Do you have any other details on Torstein Link? I notice you spelled the name differently in your posts and I wonder what the correct spelling is. I tried several permutations in Google, but I can't find anything related. Much like Gobbler, my thoughts are also that of time. DGrum mentioned the lack of interference from the many things that could best be described as distractions. Such engravings demand time, lots of time, and for the person who can dedicate the required amount of time into such engravings, while avoiding the majority of modern day distractions, then my hat is off to that person, and I do hope you are that person. Charles, very nice plates, guess I'm going to have to make a trip to Idaho to visit your shop sometime, when I get my fowler built Im heading your way with the lock and breech tang for some engraving, best get warmed up,can you handle it? I aggree about the fast paced life style we live. Most people could not fathem waiting the time it takes to create these works of art. btw good luck on the contest! He was the derector of the Swedish Royal Armory fro 1944-1957. He joined the Royal Armory in 1924. The plates I have been posting scans of are from his Doctorial thesis which went to print in 1939. 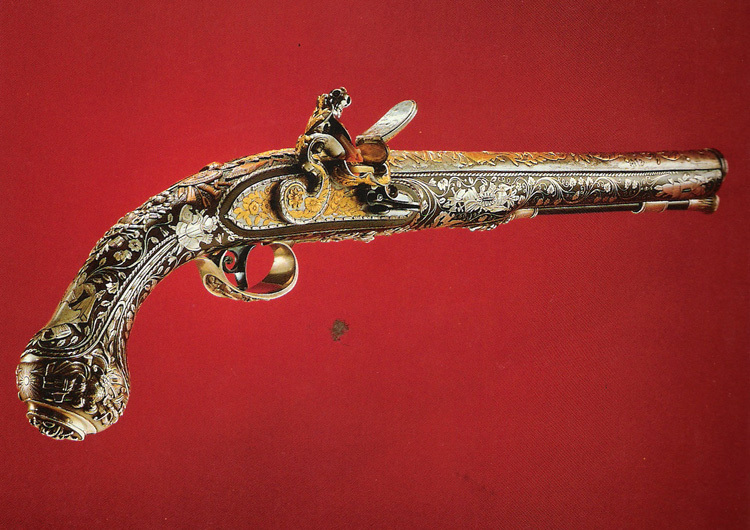 The Flintlock: its origins and development . Be ready to pay anywhere from 100.oo for a reprint and up to 500 for an original . 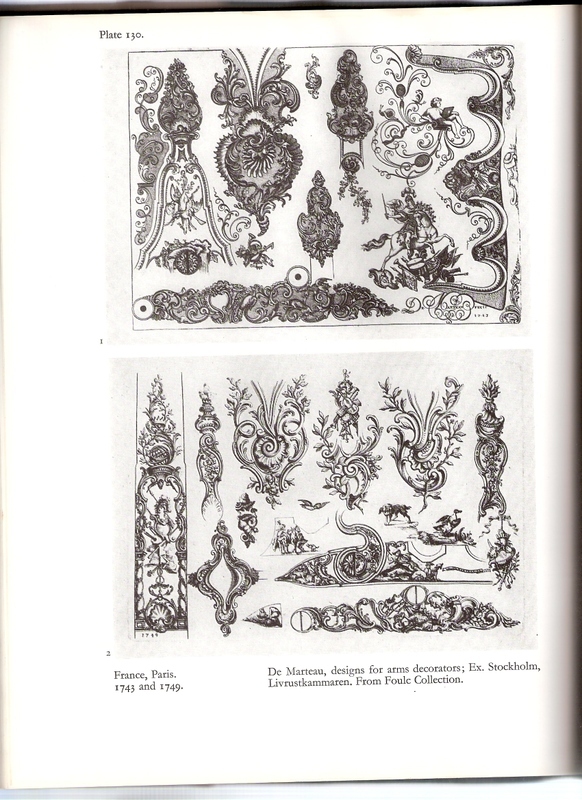 Now DR Lenk did not do these engravings . If you notice at the bottom of the full page plates you will see the name of the original artist . Charles, have been mulling your thoughts over and I agree with you, I do all my leather work by hand, sew by hand, some folks realize how long it takes and realize it's a better end product than a machine sewn hunting pouch or other accoutrement and do not mind paying for quality, most though are looking for it now and looking for the bottom line, whats a fella to do? Hi Charles, good post. Thanks for the photos. Your pictures are so beautiful. 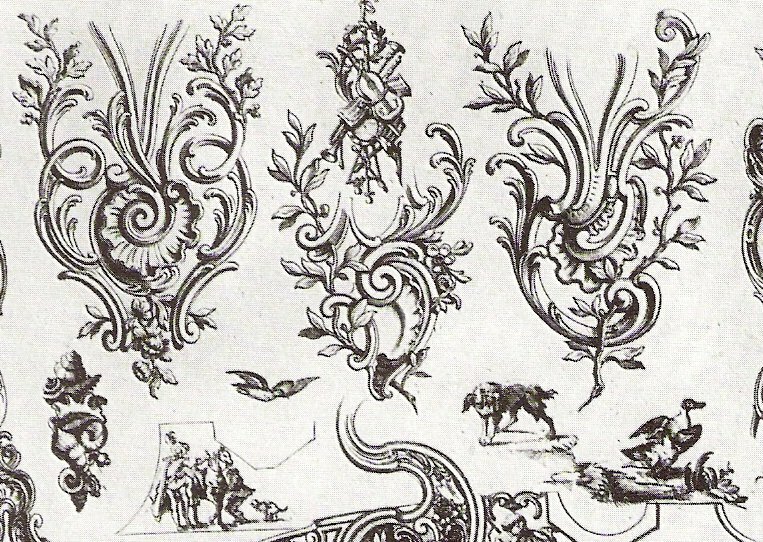 I love the antique scrolls so much and would like to study more about scrolls and the antique floral patterns. the time required i would think would most certainly be considerable . 2) I have yet to use a Pneumatic type system . To this point my engraving has been with simple chase and push gravers , preferring the chase method . Which by the way is one of the reasons im so intrigued with this Lindsay Graver as it reproduces chase work IMO identically because of how it works . 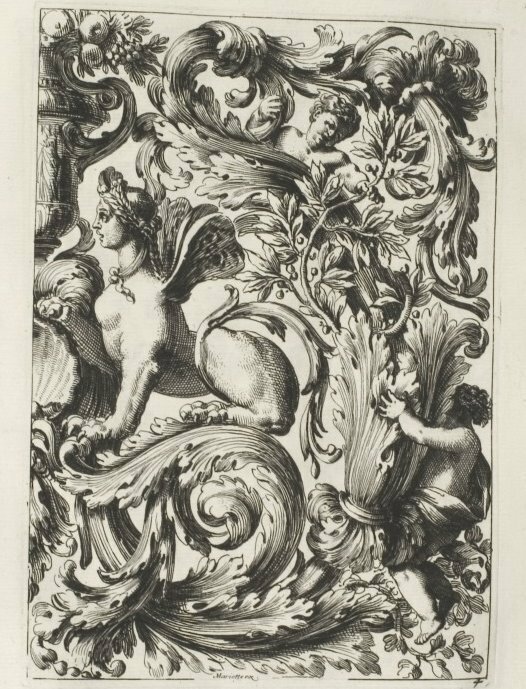 The first plate that I posted according to DR Lenk is dated 1660 and was done by Thuraine and Le Hollandois . These are actually 2 separate plates from their writings and are numbered plate 9 and 4. 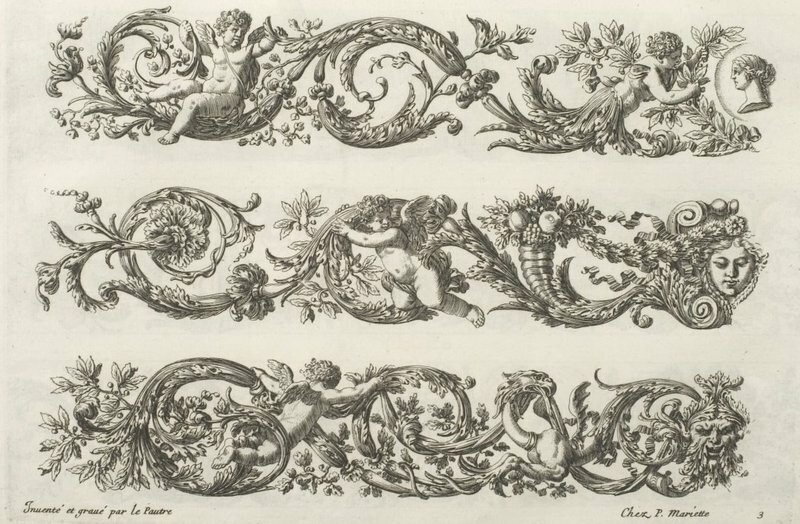 Some of the other plates he shows are from Francois Marcou and Jean Berain from the mid 17th century . 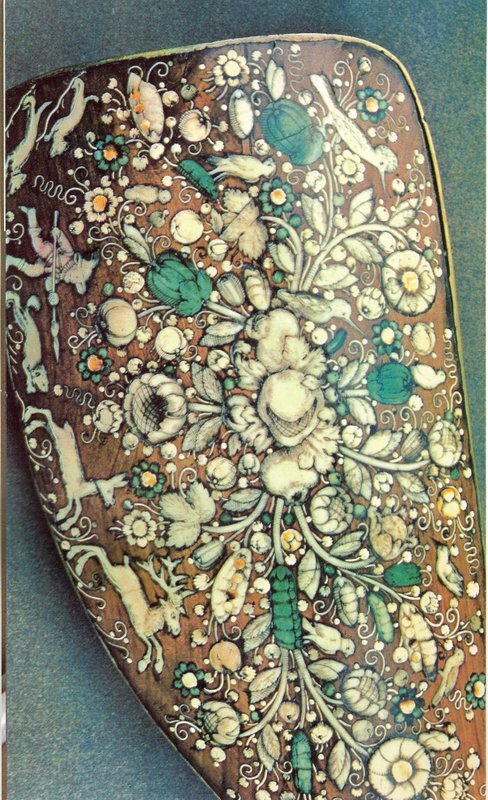 Some of the Berain plates are simply extraordinary with the rifles being over the top with inlays of ruby , mother of pearl , silver wire work to the extreme, very few castings , yet extremely heavy in their relief of every component of the rifles . Which by the way are smooth rifles IE smooth bores with rear sights ..
yes that’s the book , looks like its a new reprint of the original . mine is a hard back but should be i believe the same . There is another fine book which I no longer have do to a loss some years back . It was put out by the Tower of London as I recall , ill see if I can find my old library logs and get the name for you . Another question never have done any engraving // What is the difference between a chase and a push graver I assume the obvious with push and would think the other is used in a pull fashion??? As I said though Im leaning to something changed , it appears to me at least “as a novice in this area “ that something along the way was lost . 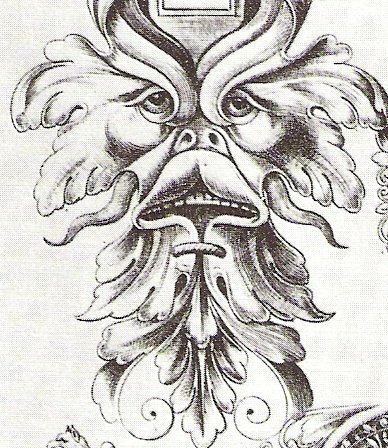 This could have been from any number of things one most certainly natural evolution or even wars such as we see with many other styles of art work . Possibly even these masters dyeing and not being able to pass on their knowledge to apprentices . I also cant help but wonder if maybe for a time this type of work became scarce do to the very reasoning that many of you are suggesting . Its just to time consuming . Cost would also be a factor because very few could afford to purchase such a piece opting for lesser less time consuming styles . I would think however Pneumatics could bring this back or at least portions of it back . If the artist puts a value on his time, it can be no other way, in my opinion. again thank you for you posts folks . push graving is done with a graver held in the palm of the hand thus pushing the graver through the material sometimes turning the material into the graver . Chase graving is basically where using a chase hammer you tap the end of the graver , pushing it through the material . Folks sometimes use both methods in their works , using the chase method for heavier work and the push method for most time lighter work . Nether method is push pull , its all done in a forward action changing the angle or direction you attack the material at .. One derection for the outside of a scroll , another for the inside , so on and so forth . If you take a look at Mr Lindsay’s short video clips , you will see him turn is vice . Attacking the works from different directions depending of what areas he may be working on . 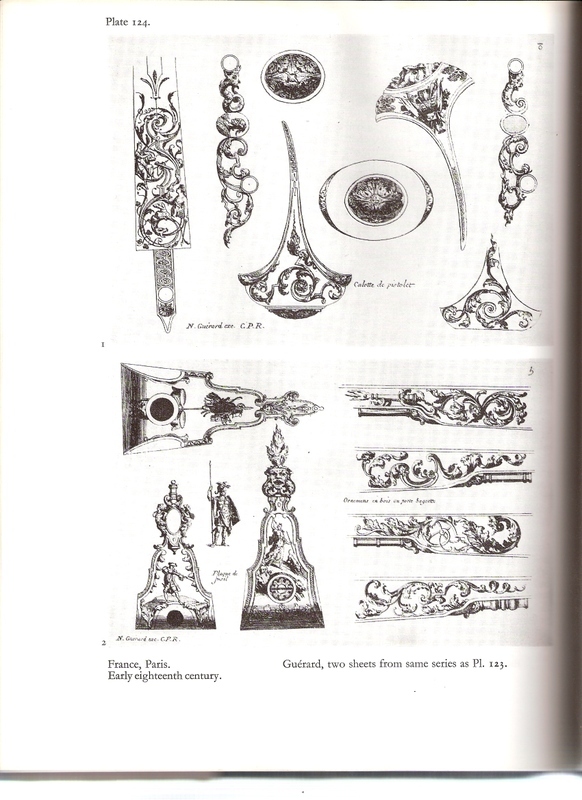 Now again , I am no where near being an accomplished engraver so if im wrong in my descriptions or nomenclature. Please correct me . I have ask some other very accomplished artisans to come and see Mr Lindsay’s site and all you folks work posted here , as well as this tool because frankly I don’t think outside of main stream engraving circles , its well known. This is also why I posted this subject as I look at it very much in the same way as the rifles I and others make . Maybe this is what happened to this style of engraving and relief work we are discussing . i believe these are done by Jean Le Pautre in the 1600 . now many of these on the web site are chiseling’s but i have also seen them on metal works . you also might enjoy this book . its the one i was thinking of from the tower of london but i may be confussed about that . its the one on my library list that i know i lost . BRITISH GUN ENGRAVING, A HISTORIC AND PHOTOGRAPHIC RECORD OF THE FINEST BRITISH GUN ENGRAVERS OF THE LAST TWO CENTURIES, TRADE E Tate, Douglas. First of all, keep in mind those plates are illustrations, not photographs. Those engravings were done on flat plates, and then prints were taken from them. The fine banknote engraving is very impressive, but the photos of actual guns I have seen are not quite as exquisite. Now, I have not seen the guns in person, so I could be wrong. Monte Mandarino has done some high relief work. other than the background not being fully bright in the examples I have seen, it is every bit as good quality wise, if not in the quantity of decoration, as was done in the periods you have mentioned. The relief work I have seen photos of by Alain Lovenberg are stunning. other than the background not being polished bright, which i believe, at that point, is a matter of time and patience, (and hence, the customers wallet!) , not skill. If you add the fact that his scenery(bulino) exceeds what i have seen from earlier centuries in quality, and that his gold work is impeccable, I would rate his work as good as or even as superior to ages past, so far as I have seen it. There are others too. Looking again at Monte Mandarino's work again, you could contend that the artistic quality of his design is superior to many of the older days, and that his execution does not fall short. In fact, looking at "decorated Firearms", very few of the examples there are perfectly beautiful to my eyes. many have design flaws, but tastes may change too. I am a brutal critic of design, especially of my own! Check out the sculpting of the Brown brothers too. There is an example in "Steel Canvass". In my opinion, the top engravers of our day would be welcome in the circles of the best engravers that history has ever recorded works for us to examine. I also wonder how much of the background polishing was done by specialists? 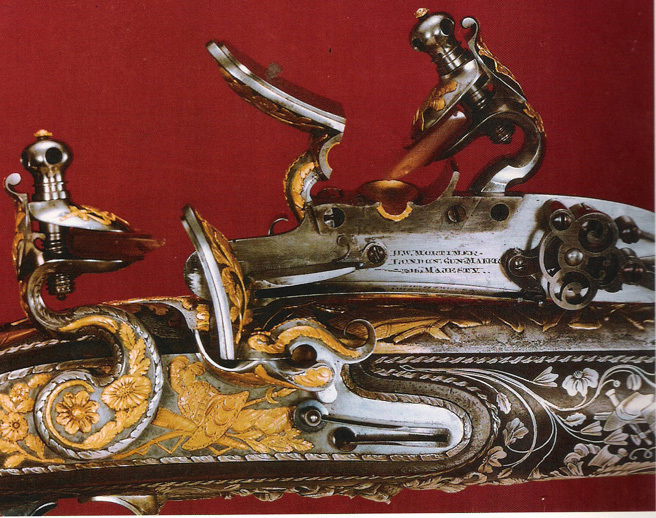 Those ornate guns often had very many hands involved in their creation. If you took the best stone setters, gold smiths, engravers, carvers, polishers, stockmakers, and gunsmiths of today, and gave them the patronage that such conglomerations of artists had in the past, i think you would get superior results today. 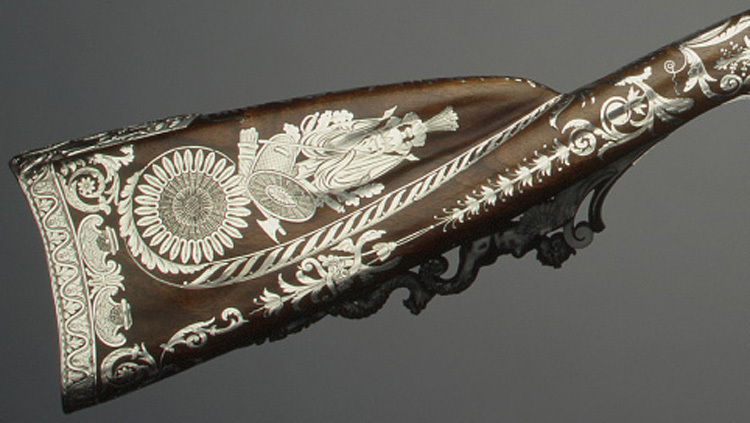 perhaps the biggest factor is that decorated firearms, although in demand today, are perhaps not the choice of as much of the royalty as they once were. Also, maybe the revival of this particular style awaits someone to actually do it to the ultimate degree? A great discussion, but again, many of the best engravers we have ever known about, in my opinion, are living today. To address your other point, does the airgraver help in quality, and or speed? I would say yes to both, in the right hands. I have had the opportunity where I work to see some superb engraving as the guns come in for coloring or bluing, and I sometimes take them back to my scope. Anything that can be done with the airgraver can be done with traditional tools, but the airgraver does allow some advantages in control, and efficiency. However, there are times when the hammer can hog things out faster, but that may be just my own comfort level. That is part of the problem in evaluating this question. It is impossible for the same person to start from the beginning on both systems! Hopefully, this will stir the pot some more. Sometimes, i think we over romanticize the past. We should respect it, and learn from it, bot not act as if their achievements are beyond us. When i first started teaching high school drummers, after my own graduation, there were many prejudices about what was appropriate music for a high school drumline. i refused to accept those limits, and did not try to impress or intimidate my students with all the talk of what they would not be able to do. Instead, i found their own strengths, scored the music accordingly, and just taught it to them. After they learned it, I then told them how hard it was, and how well they achieved things that many others were afraid to try. Many years later, the standards are much higher, and the accepted norms have risen in that activity, and by no means do i claim to be responsible for that growth. I merely want to illustrate how important it is to not believe all the propaganda. I was pretty well convinced that back in those days, we were overly criticized and more strictly judged than others, because we were trying harder stuff, poking our heads up above the trench line, so to speak. I came to believe that, at some subconscious level, perhaps, the judges (many of them band directors themselves)y did not want to reward that effort, or else they would be eventually forced to match it! pay due homage to the great ones of yesterday, and today, but don't believe that what they do is impossible for you. The only limits we have are normally the ones we put on ourselves, or accept from others. I promise to stop accepting them! How about you? i think your most correct that these are not actual plates , just drawing of those plates . The other thing to remember is that many times there is a language difference between then and now . 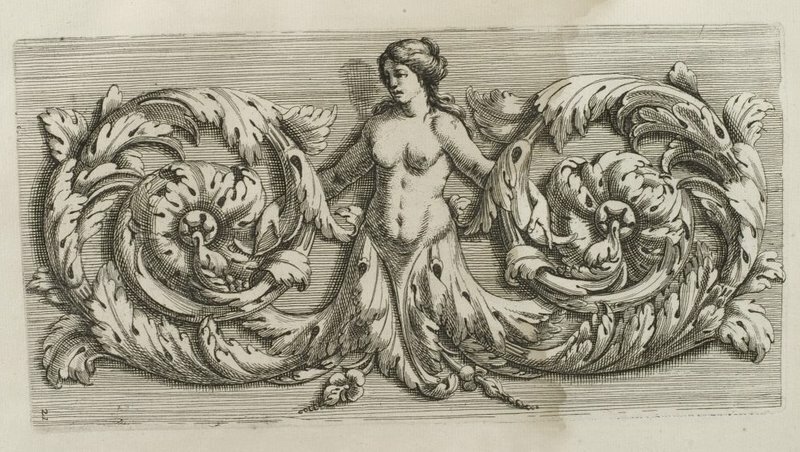 If one does a search on the internet for say period 17century engravings you get everything from paintings to stone carving , even wood carving and yes even gold leaf work on books . So I think we have to keep that in mind also . Another thing concerning period works on what ever object , we have to remember those works are 1,2 and sometimes 3 hundred years old . What did they look like when new and un warn with time ? Also I would have to agree with you on the points that sometimes the old masters simply did not hold to the reputations of today folks like Manton , Nock are perfect example. I have held some of their works and in some cases you have to wonder what the big deal is as many small unknown smiths today do work that far surpass the quality . However again these pieces were 200+ years old . Sometimes also these are not engravings at all but castings . Makers would do a engraving in wax then cast the part thus one engraving being used over and over again , each time with lesser quality then the original . As to farming work out , yep happened and happened a lot . Thus instead of doing all the work ones self , one person would make the barrels , another make the locks . Once all was put together it would be sent to the engrave or jeweler for completion. Steel canvas is a wonderful book to droll over . However it also makes my point , what happened to this period type of work . Even they intricate work isn’t of this type . The period rifles of Armstrong and such which are shown also is American line work . don’t get me wrong its still wonderful but its not the type of early work we see Typically see earlier in Europe. Hence the question why ? 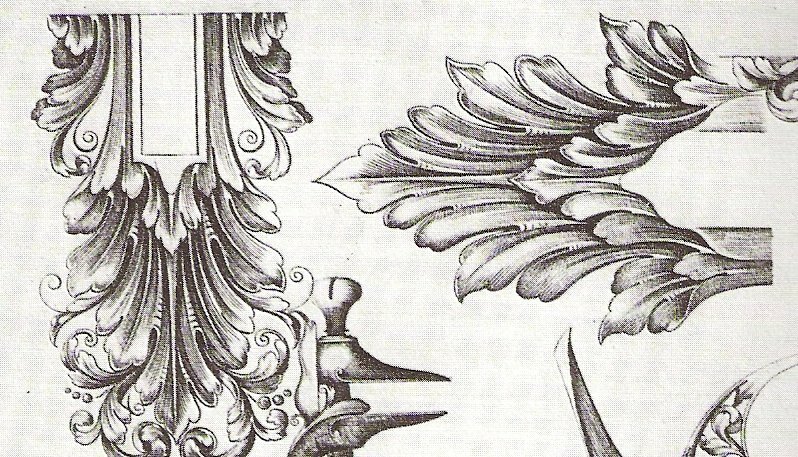 What changed why the move to light leaf and heavy scroll work from the heavily defined leafed scroll work of old . We know why many of these works found here in the Americas was done on brass and silver over irons and steels . That was basically because of crown laws forbidding the manufacture of iron parts and the equipment to manufacture said parts . Thus most of these weapons are mounted in brass and silver . Thanks Charles, the infromations are great. All you show is my cup of coffee (opps, no, I don't like coffee!) my cup of tea! I have the book of British Gun, like it so much. I alway wonder if my previous life is from there, as I love all this kind of things so much!!! Iwant to learn more about scroll before I really cut my first scroll.....I don't like the book Steel canvas (don't be offense, just personal taste). The illustration show in all these books are wooden cut, told by my printing making friends. Tom, great post, I enjoy reading it. Do you have the whole book scanned? What's the name of it? I would like to have a copy of that. Zernike also hit on something that was I think important . Our architecture changed as buildings were lost to fire and war , they seem to often times been rebuilt without the high levels of sculpting that the old building had . Maybe if there is an architect amongst us he could better explain. this change. 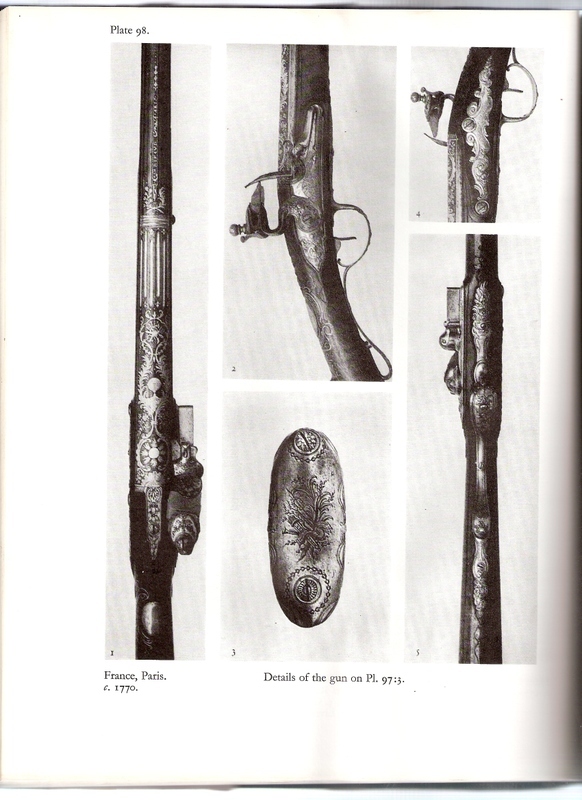 the name of the book i showed scans from on the first page is : The Flintlock : its origin and development. 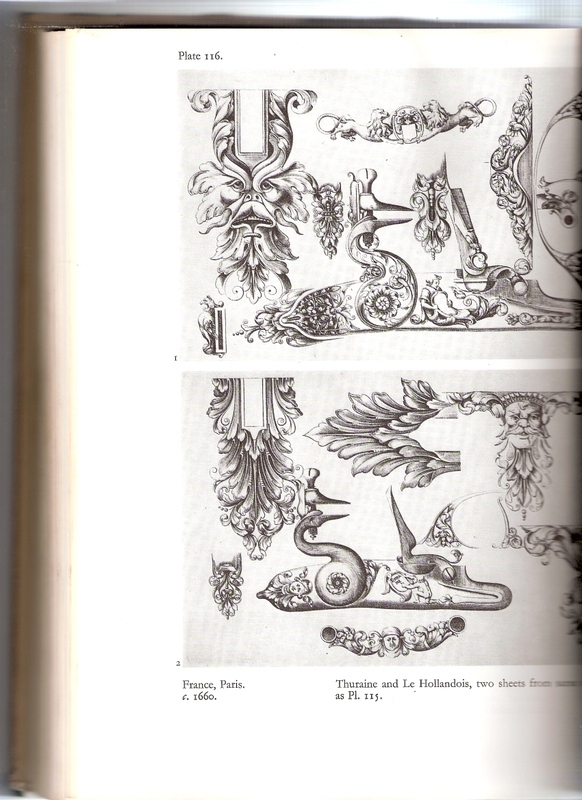 Charles, can you recomend any other books for engraving a 17th century Hudson valley fowler? Chas. I, like you, am very interested in Muzzle Loading Firearms. It seems to me that the earlier guns were very often heavly engraved.Two possible reasons may have been the cost of guns & "statis." I have to agree with the comments about the mindset regarding quality of 'then' versus 'now', as well as the idea that they had fewer distractions then. But also remember that the onlt adequate light then was daylight, thus limiting the time they could work on fine detail like this. Would inlay and wire inlay work also be done by the engraver, or was that a separate discipline? Ok let me start with beaverman and say , sir I have seen your leather work and its exceptional . Your most correct , to often a vast majority of folks look and ask : how much do you charge , they when you tell them , thy shy away. Normally with my rifles I have around 300 hours from blank to completion . Adding engraving " which i no longer do ", carving , inlays . Intricate patch boxes and such all adds to that time .. So if you crunch the numbers , if I pay myself only 10.00 and hours, that comes to 3000 starting price . We also have to remember that 5-700 of that is in parts , so your actually making less the 10.00 and hour .Steve Zihn and I had this same talk , the other day while discussing the quality of work we were seeing from many folks. But we also have to remember that what we do is art even though the rifles are functional. So I guess once you get a name and keep that name out there often times folks will pay just on that name regardless if the quality starts to wane. Charles, can you recommend any other books for engraving a 17th century Hudson valley fowler? This is a pretty big question when you think about it . What type of engraving are you looking for , early period engraving , engraving specific to your HV fowler ? I would seriously take a good look at what he is doing folks and follow along . it IMO would benefit all of us and expand our knowledge considerably . it would look wonderful on your piece . However lets remember that concerning these rifles , there has been a very large move in the last 10 years or so to reproducing historically correct examples. As such we run into a problem , especially concerning American fowlers like yours . Simply put there is very little documentation on them . Why ? Well as I alluded to above laws like the navigation act and later corn acts greatly stifled manufacturing in this country , pre Revolutionary war . As such many of the examples we have today to look at are cobbled parts and pieces IE Ordinance weapons . Because of this they carry parts from any number of English , French, Spanish and German makers . So the engraving can very greatly just on the same rifle . Those that don’t would carry simple “ I say simple as a comparision as there really isn’t anything simple about it “ but what is called line engraving . 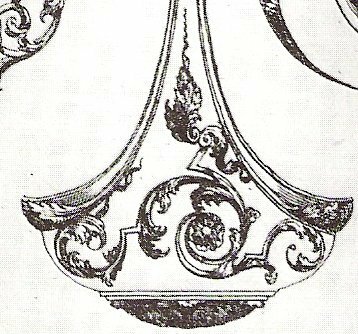 This doesn’t carry the high relief or shading of at that time more sophisticated shade and cut engraving of the European silversmiths . 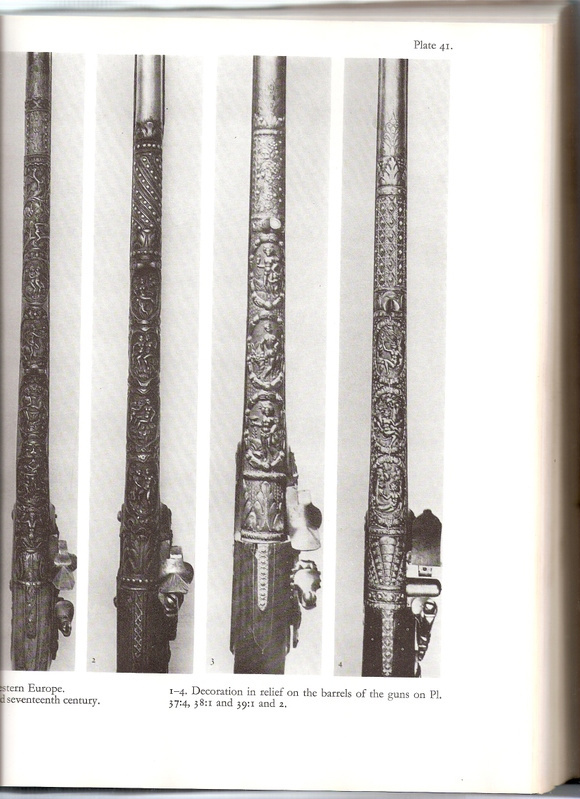 I believe its one of the finest studies of these weapons to date and shows the different engravings as well as carvings that are seen on these rifles . Then start watching for the older books by Pope , Hanson , Shumway and Lindsay. Take a serious look at the engravings of their documentation and move from there . Puffer , very good example, thank you for posting it . Most certainly the art never died completely out , just as our learned colleague graver tom pointed out . Hopefully he will post some photos of the art work he described . Im sure we all would like to see that . well this would depend on first what work and who was doing it . For me it takes a couple days to do a buttplate tang , barrel tang , and side plate . My hands just are not what they used to be and its one of the reasons I stopped doing engraving some years back . Though I really enjoyed it , I just couldn’t do it correctly and was not satisfied with the end results. Which I had been prior to the effects of labor attacking my hands and back . Thus I have went to doing more castings and such . Normally the inlay work would have been done by the same person or in at least the same shop. Now as we discussed before , many times the engraving work , or other parts work like barrels , locks and such would have been farmed out to others who provided work in these specific trades . Did their own works from start to finish , making the locks , stock , forging barrels and doing the engravings . These were truly knowable folks and while they my have been less skilled in one are then another , their overall work is truly something to behold when you consider it as a whole . To often I think we forget that . We concentrate so much on one given area that we lose the overall prospective and relationship of the work itself . I sincerely hope you all look over this site very well . Take a real good look at what others here are doing , describing and see their skill . Participate in the other topics . There is so much here that we all can apply to our works . The quality of work here by folks is simply out standing . You do some grate work. Did you lern by book or have some hads on help when you ferst startid? It would seem to me that the cost of engraving on top of the price of the rifle would put it out of the realm of most people. Even at minimum wage. Don again these are not my works of engraving , they are examples of very old engravings . you want to see work , go to the photo section of this forum and see the work that the folks here do . frankly im just a new comers to this place , simply a Johnny come lately. Again I don’t want to and will not embarrass myself by showing it . I also learned what little I know about how to perform a small amount of engraving , by looking and reading books . Hank I would also agree with you . However in this day and age where I see period reproduction rifles , in very simple form selling for hundreds of thousands of dollars. Paintings that frankly I would give 10 bucks for , selling for thousands to hundreds of thousands , I have to wonder . Surly a skilled artesian producing a product , while well out of the reach of the common folk . Would find that there would be a market for this type of work ? Right now just with traditional muzzleloading rifles there is a vast majority of folks that simply feel they cant afford a custom rifle made from quality parts when they can buy a production version for 3-400 that’s lacking in most every way . BUT at the same time those of us that make custom pieces are so far behind , we often have back logs of at least a year for delivery of a completed piece . Currently im alittle over a year behind and my rifels and shot guns range from 800-2500 depending on options . Steve Zihn was telling me he has slowed on taking orders because he is 3 years back . Now mind you his quality is IMO in the top 5 % in this country and his prices reflect that . Chas. As you know, what little I know on this subject, is focused on British gun makers. But here are some thoughts. 1. General gun makers - these gun makers made guns for general consumption & the military, such as Ketland( although they did do some "custom work) These makers "farmed out there parts & assembled them ( there was a huge # (up to 8,000- 10,000 in London & Birmingham) of "parts makers, including "engravers"
I will post some pics of the more simple ingraving these makers did. 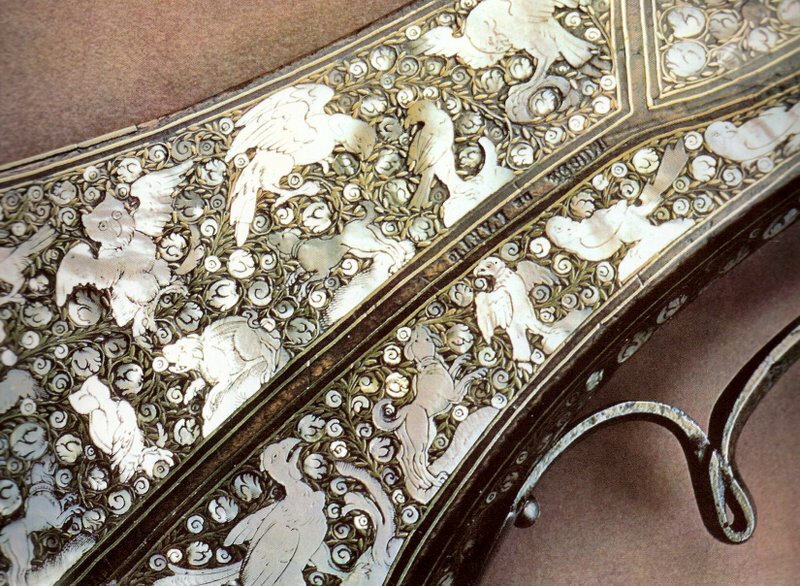 I look at these engraved guns, and they are truly beautiful, but were they made to be used or more for the art? Does all the engraving make it hard to keep the metal clean and rust-free? Seems like it would. I would also ask the same question as halfdan. Although they are beutiful works of art it seems not very practical (IMO) and would tend to be if you will wall hangers. Do you suppose these old works of art were ever even fired? I know there was alot of engraving done on firearms that were used on a regular basis, but I referring to guns such as puffer posted. What do you think?